A few people have asked about the haunted sites we've been to in the United States during our travels. Maybe we're not the only weird ones? Some details from our journeys....these are the initial ones that came to mind. Caroline and I took Carter and Jack into Estes Park for a couple of days and stayed at The Stanley. I was pregnant with Lainey, Carter was 6 and Jack was about 10 months old. 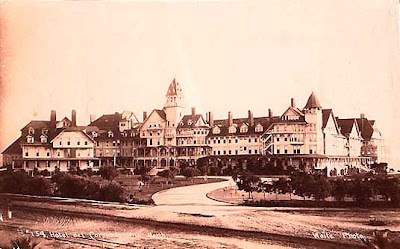 We knew the history well of the hotel....Steven King stayed there the night his ideas were formed for one of the best horror movies ever, The Shining. It's old and creaky and filled with history. We took the Ghost Tour and really enjoyed it. Caroline talked the tour guide into allowing us to see Steven King's room....one in which most people request if you're staying at the hotel for such reasons (it was booked when we were there). We stayed up late and read from a book with hauntings specific to each room in the hotel. None for the room we were in....but both Caroline and I swear we heard noises and voices throughout the night....mainly because we couldn't sleep and were up! Carter slept like a baby, of course. 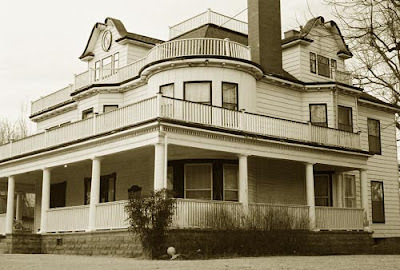 An account of the history of The Stanley and haunted Estes Park here. 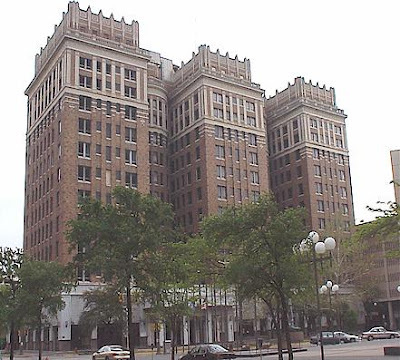 Caroline, Carter and I stayed at The Skirvin for a couple of nights during Spring Break this year. It's much swankier than most of the haunted places we've toured or stayed in, which kind of took away from the fun of it all. And, while asking for a specific we-heard-it-was-haunted room, the concierge told me the staff was discouraged to discuss such occurrences. Lame! So, we cornered a bell boy and got the scoop. It was a lovely place to stay, but we slept peacefully that night with no noises or spooks. To most, that's good. But, we thought about asking for a refund. :) Details of reported hauntings here. Caroline, Carter and I stayed in Guthrie one night at a house affiliated with the Stone Lion Inn, pictured above. 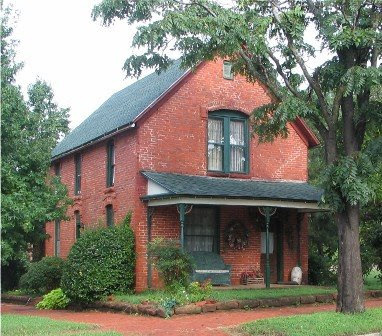 It was called the Red Brick and Roses House and was located closer to town. The main inn has more history associated with hauntings, as we learned at breakfast before leaving. The hostess gave a historical account of the house, its previous owners, paranormal activity and more. It was very interesting! Next time, we hope to stay at the main inn. Here is the house we stayed in. Poltergeist was playing on TV, so we all cuddled up and watched it together. Details of a haunted stay written about here. A walk through the ultra-fabulous Hotel Del lobby instantly takes you back in time. The preservation of this hotel is incredible, especially considering the decades worth of guests - from everyday people to royalty. It has a very interesting history, rich with hauntings and images of Kate Morgan, who died there over a hundred years ago. We've vacationed in San Diego twice and although we haven't stayed overnight there, we are sure to have lunch on site and play on the beach nearby. 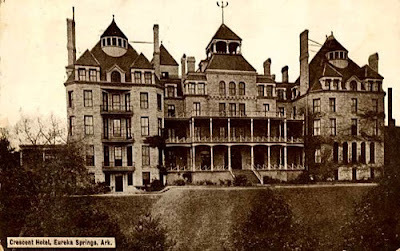 A short 5 minute video describing its hauntings can be found here. 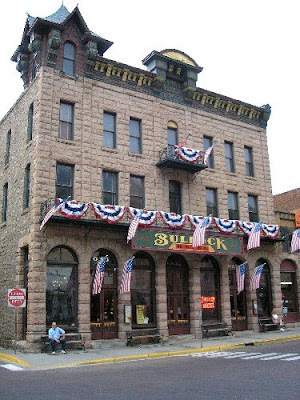 While touring during Spring Break, we happened upon the Bullock Hotel. Carter and I took the haunted tour and it was quite good. The lady hosting the tour was really into it and told us all about the reports from guests such as alarm clocks and TV's functioning on their own, voices and more. I wrote about this visit here, in a previous post. Not much on-line to find, so link back for details. It's a fun little museum and I'm sure the tour is good, too. While in San Diego, Carter, Jack and I toured this historical building in Old Town San Diego. We took the "ghost tour" and Carter swears he saw and heard many things. The Whaley House has a rich story behind it, and the Travel Channel has named it the #1 Most Haunted House in the United States. Very interesting to sit in the school room, walk through the general store, and then upstairs into the living quarters. Not to be missed if you're in the San Diego area. Details here about the history. Looks like an amazing place. And, I do so love a hotel that embraces its history, including the hauntings. Check out the website's stories here. You should watch that show "Paranormal State." Dave and I are addicted to it! I can't wait for Eureka! So many good memories... I don't care if we seem crazy!